Like most people in Pakistan, over the past few weeks I had been actively following almost every news story related to the elections in general and in particular news about the constituency in which I reside. PS-113 and NA-250 in Karachi are what I would call spotlight constituencies where political parties have put forward the best of their party members. NA-250 is being contested by Khushbakht Shujaat, an educated, hard-working self-made woman contesting from the MQM ticket. From the Jamaat-i-Islami we have the formidable Naimatullah Khan, whose record as an administrator and social worker is unquestionable. PTI has put forward Dr Arif Alvi, a stalwart PTI member with strong ties to Karachi via his thriving dental practice. Similarly PS-113 has several good candidates. There is the young and energetic Ali Rashid of the MQM who has a reputation of being accessible to his constituents. The PML-N has fielded one of its senior leaders Mr Saleem Zia and the PTI is represented by well-known architect Mr Samar Ali Khan. As a voter, to say I was confused would have been an understatement. While all the candidates are excellent and very well qualified I was having difficulty agreeing, wholeheartedly, with the policies of the parties they represented. What I was looking for was a candidate who raised a voice on issues that the others did not. 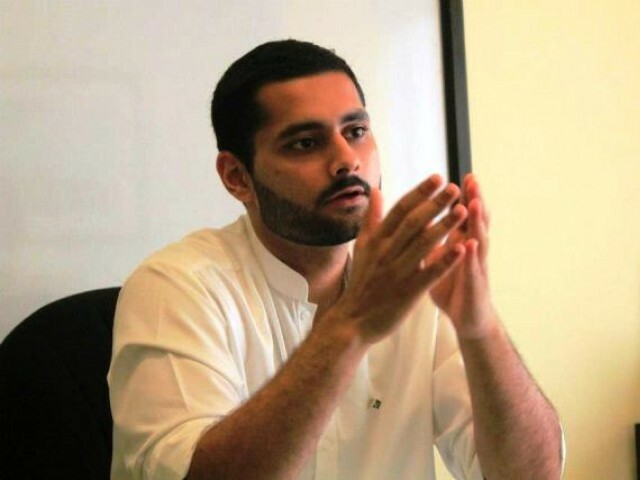 While reading some blogs one morning, I happened to come across one by a 26-year-old lawyer named Mohammad Jibran Nasir who was contesting from my constituency as an independent candidate. The thing that really struck me was the fact that he was going to be doing this all on his own; he was submitting his papers, dealing with the returning officers etcetera all on his own. This was the first time in a while that I saw someone from a background similar to my own getting up and actually trying to do something about the problems that we face every day; he chose not to just sit and rant on Facebook or Twitter. He stood up, albeit alone, unlike many of us. If I were to try and identify the reason behind my decision to support him it is probably because of the issues that he addresses in his manifesto. The fact that Jibran was the only one yet, to be talking about things like countering armed and intellectual terrorism, religious intolerance, increasing and protecting women’s rights, and increasing and protecting minorities’ rights was something that not only increased my liking for him but it brought about a sense of realisation too; no prominent party had given sufficient attention to these problems. Just because they have not surfaced in the few weeks before the elections does not mean they do not exist. Jibran spoke in detail about blasphemy law and also gave very simple, logical solutions to ensure these laws are not misused. What impressed me most about this young candidate was the fact that he advocated tolerance and insisted that it works both ways; if the liberals expected the religious conservatives to be tolerant of their beliefs than the same tolerance should be afforded by the liberals to the conservatives too. Just like you want to be free to wear your jeans and your suits they must also be free to wear their shalwars above their ankles and grow beards as they please. Being a Pakistani, I am by nature suspicious of political promises, especially those made during the election season. I got the answer to that question when I was asked to participate in a meeting between Jibran and a small student political party that was offering to support him in his campaign. In a nutshell, they wanted Jibran to back down on and perhaps even remove the section of his manifesto that addressed the blasphemy law. It was not that they did not agree with his stance but they simply felt that such a stance would cause them to lose votes. Suffice to say that while Jibran remains on good terms with that party and its workers and no alliance was formed. I know that if Jibran is not elected, he will continue to do whatever he can to promote change and to help the people of NA-250 and PS-113. However, I believe that he stands a good chance in a fair fight. I also know for a fact that if he is elected he will carry the voice of reason to the floor of parliament and even if he cannot change one single law, I will take comfort in the fact that he did his utmost to try. He is the first step towards the change in our national mind-set that my country so desperately needs. So, the answer to why I will vote for Jibran Nasir is ‘hope’. Jibran gives me hope that there are still young people out there who are willing to struggle in the hope of serving their fellow citizens. My name is Basharat and on May 11, 2013 I will vote Azad! I will vote for Jibran! A businessman who enjoys fishing, riding horses, plays polo and travels as much as possible. I admire Jibrans courage but its useless voting for an independent candidate, esp in NA 250. Firstly one man cant bring any meaningful reform either in PA or NA, since he is only going to be ONE vote in the parliament for any bill or law that is passed or repealed. Only strength in numbers can bring about the necessary reform. Secondly, if we consider the constituency problems it self, the area comes under DHA, which is independent from the CDGK, and is run by ex-military men. And Jibran will be of no use their either. Pakistan or indeed any country needs vision,strategy,plan,execution to progress. An independant will not be able to do any of those alone. Just like in the corporate world,a division or department ALONE cannot take the entity forward . Jibran is doing the right thing. It will be a learning experience for him and he will emerge stronger……………he is the future. If he wins, the areas he is contesting on, i.e. NA 250 and ps 113, they come under DHA. So all development work is done by DHA, not by CDGK, which is under the government. So Jibran winning wont have any impact on NA 250 or PS 113, since he has no jurisdiction there. what we are missing here is not how Jibran needs to affiliate himself with a political party OR how he is just one vote out of many in the assemble OR how he is running against big-guns and what not..he is showing people that the common/educated/professional/non feudal/non business family/etc. can do a lot more than just discuss politics in their drawing rooms/dinner tables. he is showing everyone that if one wants to “change” the way politics is done (taking it away from the few families and what not), we need to strengthen our resolve and become a part of the system. PTI, though provides the platform for change, is NOT the definition of change. Over the last few months, we’ve come to see people calling the ONLY agent of change. YES, PTI gave the people another option/platform as opposed to the big 2, however they in itself are not the sole authority on change. Jibran is one independent. Who knows we have 20 others in 2018. THATS the bigger picture. If and independent is elected to the assembly, he has the choice to sit on either the treasury bench or the opposition bench. If he chooses to sit on the treasury bench he will be able to get things done for his constituencies while having the independence to propose legislation and vote for laws on merit and not on party lines. In Parliament every vote does actually count. on the same token , Independent candidates have this history of either withdrawing at the last moment or joining the party which wins in the end. so its really not worth it. You want to negotiate with those cruel people who are killing our very own people? a What do you think Imran Khan has to offer them after coming into power that he will actually be able to negotiate with them?